Autumn comes to a close today which marks also the completion of my first vanlife season. It’s incredible to think that almost 3 months have passed since picking up Petervan! I love this day, the “shortest” (i.e. darkest) of the year in the Northern Hemisphere which means daylight will start getting longer again. It’s a time to embark on a new path to light, as we receive more and more energy from the sun each day. Perhaps it’s not random that it coincides also with a time when we review the year we’re leaving behind and set new goals for the year ahead. 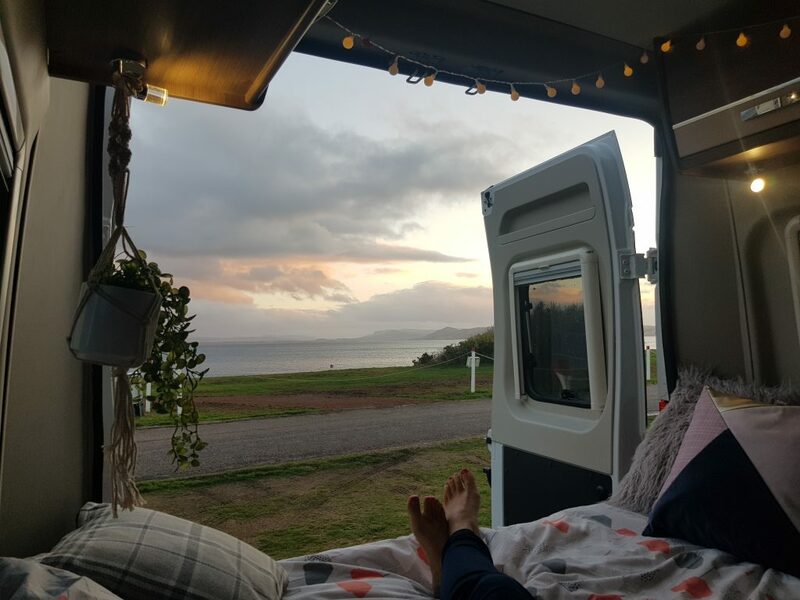 With that spirit in mind, I take this opportunity to look back at my vanlife experience to date. Only 1 electricity cable snapped! I set off on my vanlife experience at the end of September and most people expected me to head straight for the warmer climates of Southern Europe. But no, what do I do? I plan a broad itinerary that envisages a tour around a few Northern countries as it gets wetter and colder, with a plan to venture South just as it gets hotter (and possibly too hot). Maybe I used little common sense in my planning strategy but as a result I’ve had the pleasure of enjoying some “interesting” weather conditions and discover the benefits of nomadic life in a small 4-wheeled home during the low season. 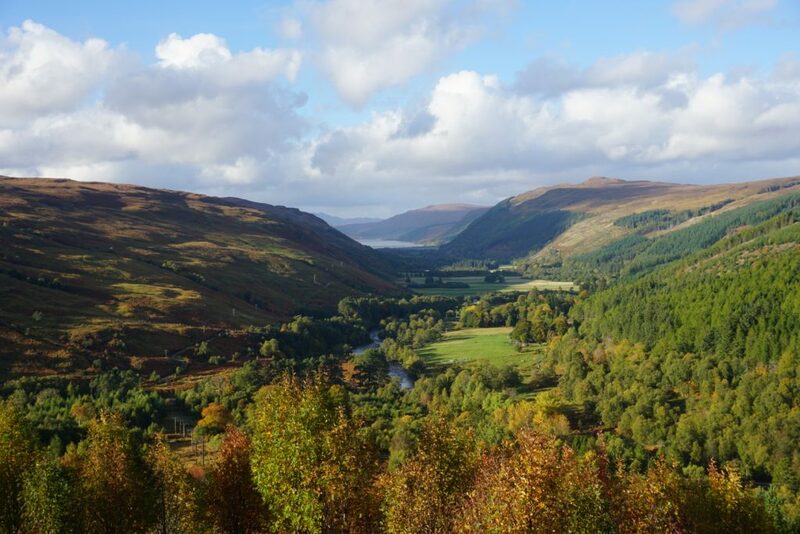 Sunny blue skies enhance colours and brighten up my Instagram page, but some of the red-painted landscapes I’ve witnessed, especially during October in Scotland, and more recently the snowy mountains in Austria and Northern Italy, will remain forever imprinted in my memory. 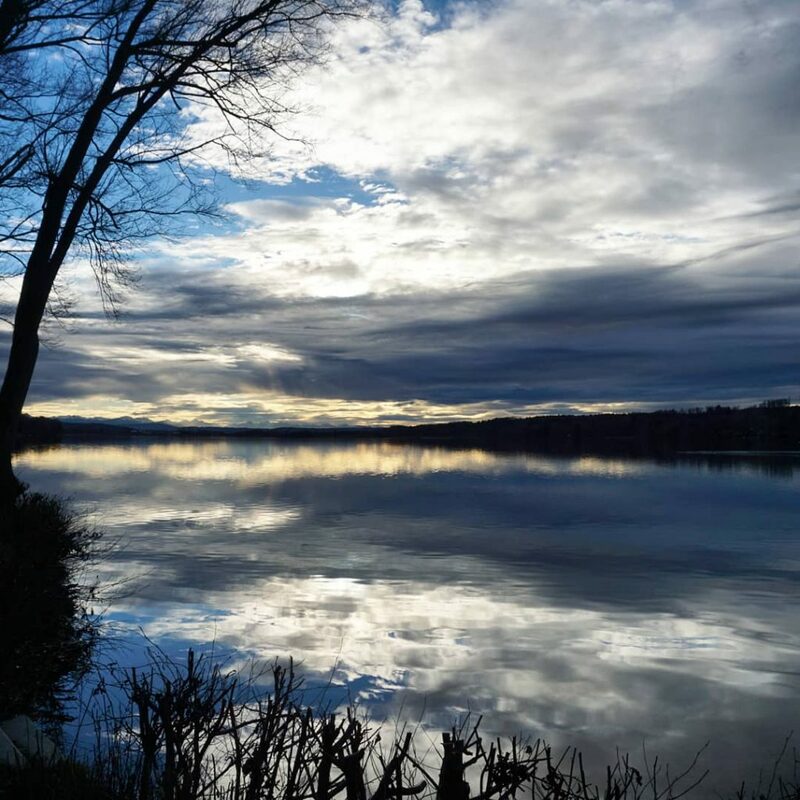 Certain sceneries have brought me to tears of emotional appreciation for mother nature’s artwork! 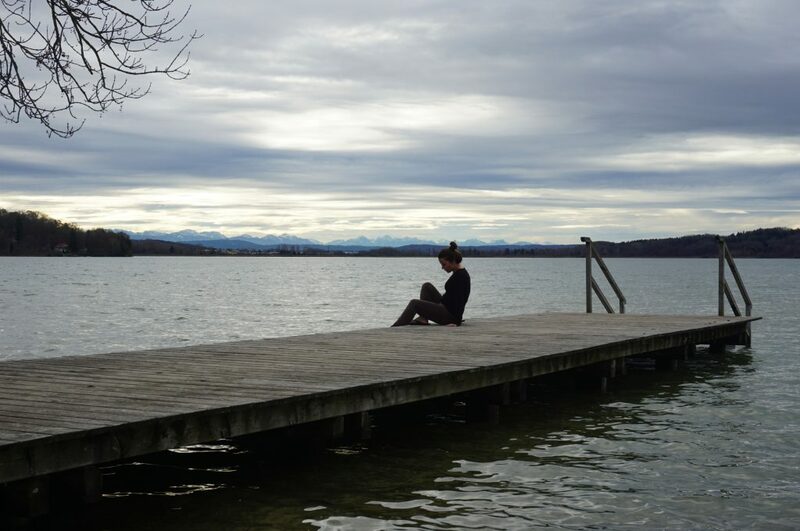 There is also something to say about the precious, solitary walks along deserted beaches and dipping your feet in the cold seas and lakes. 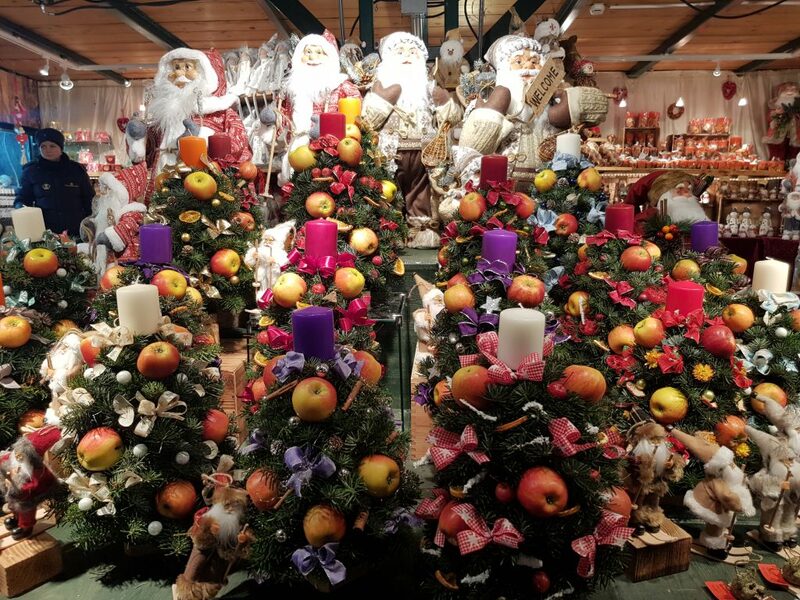 I timed my route so that I could make it to various Christmas markets before reaching my family in North Italy. Most markets opened from end of November and in some places I arrived a little too early, just as they were setting up. 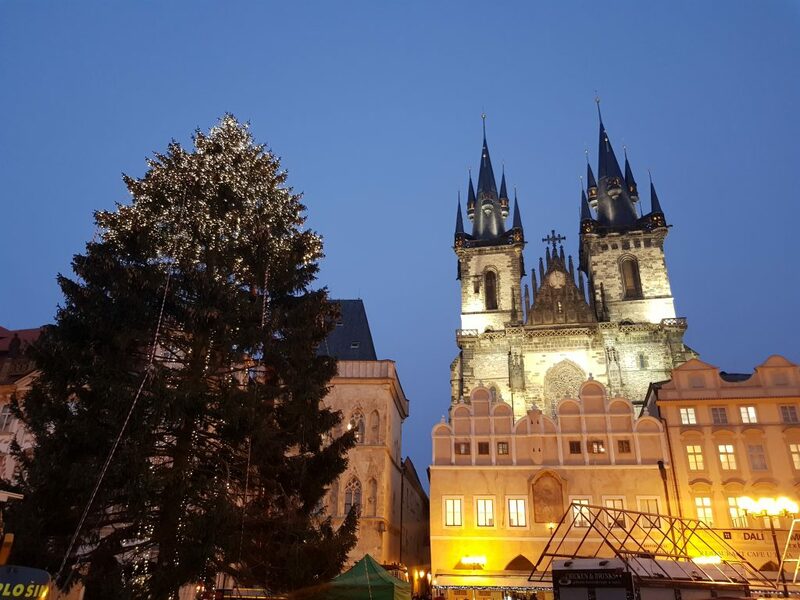 In Prague a few stalls were already open, there was plenty of mulled wine and their stunning tree was just being dressed up with infinite sparky lights. I did then enjoy the fully opened markets of Nuremberg (Germany) and Salzburg (Austria). True, not all campsites are open at this time of year. Some close from mid-October, however those that are open tend to be half empty. This means that once I identified which ones they were, near my potential next destination, I could be more adventurous and spontaneous with my travels. This benefit is not for all, especially if you prefer planning in more detail and in advance. I am generally a lastminute decision-maker and I enjoy playing with synchronicities, so this worked well for me. In most cases, bar one or two places, I could pick my campsite just as I arrived at my new location. The campsites have been predominantly quiet, with a few exceptions including Amsterdam and Copenhagen for instance. 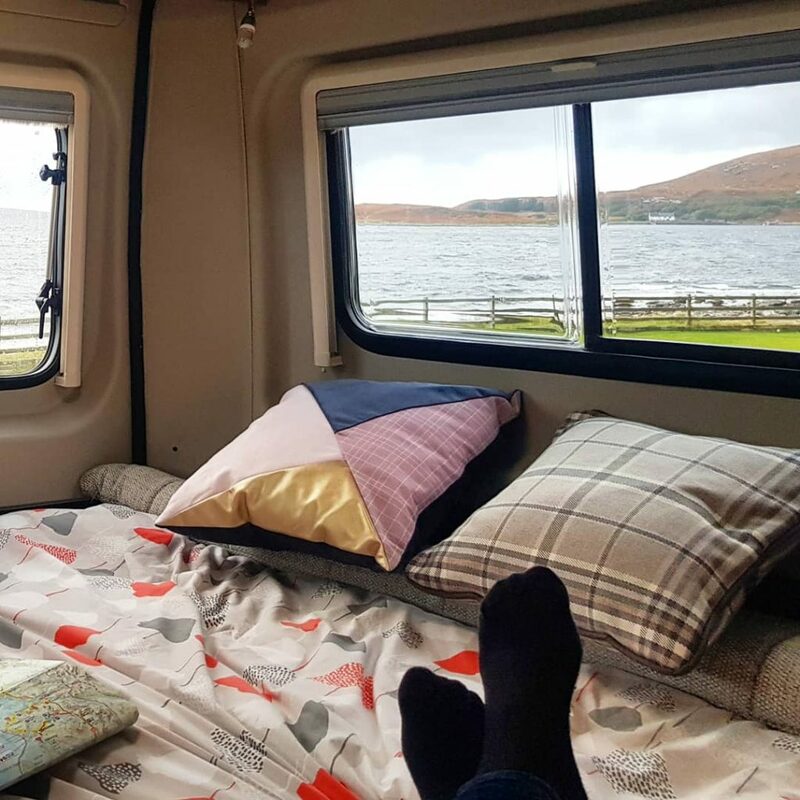 It’s probably not the best time for camping if you’re looking to socialise on the porch of your campervan or motorhome, but on the plus side, you often get the facilities all to yourself! There have been times I wanted to use 4 shower-cubicles just for the fun of it: one for shampooing, one for hair-conditioning, another for soaping up and a fourth for singing the final song and rinsing off. Also, no queueing for laundry, water filling and draining, etc. I can imagine that this may change dramatically during more popular seasons. Emptier camping sites means more chances to pitch up in the best spots! Oh my, it gives me chills just to think back at the places I have stopped at so far. 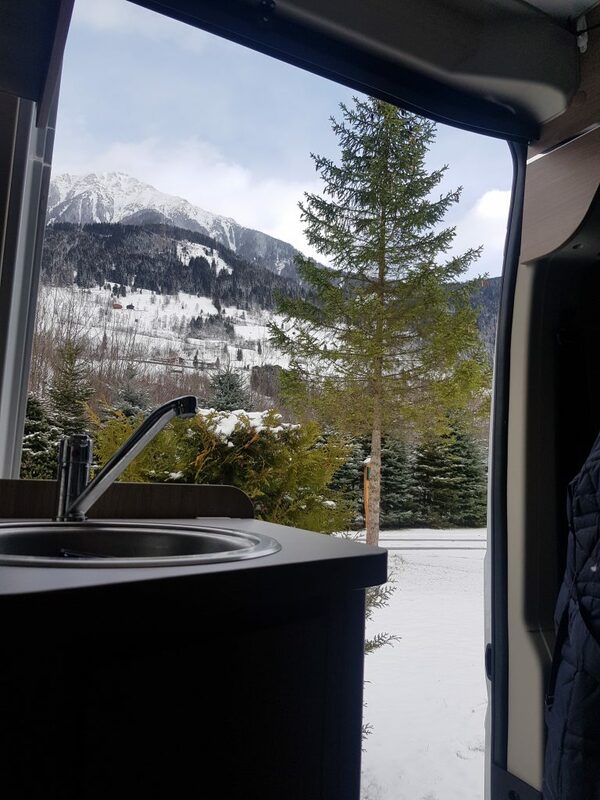 So many breath-taking landscapes I could enjoy right from my home-on-wheels. 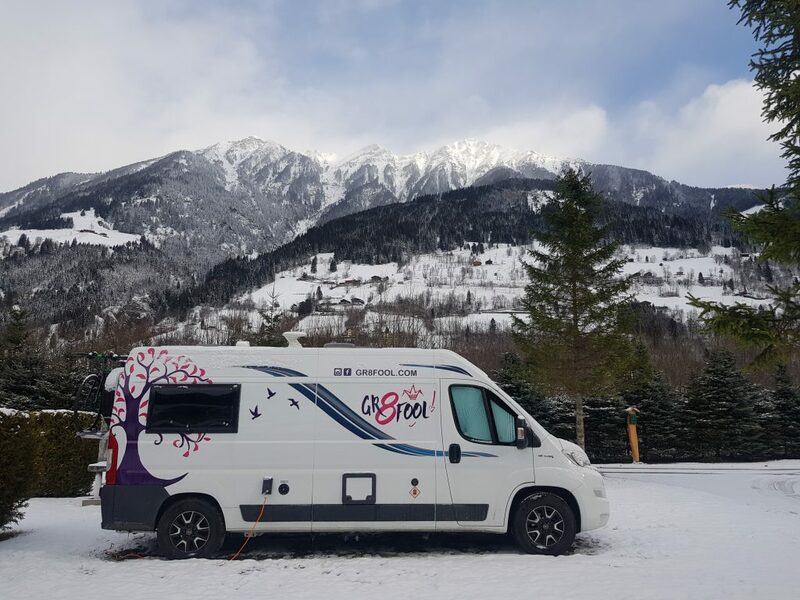 During this low season, it was easier to park up on the quietest plot of the campsites and position the campervan in a way that I could open up the doors with no one blocking the amazing views. I cherish many special moments, sitting on my bed with a cup of coffee admiring the world around me. Sometimes at night-time too. I can’t wait to create many more of these moments in the coming months on the road. 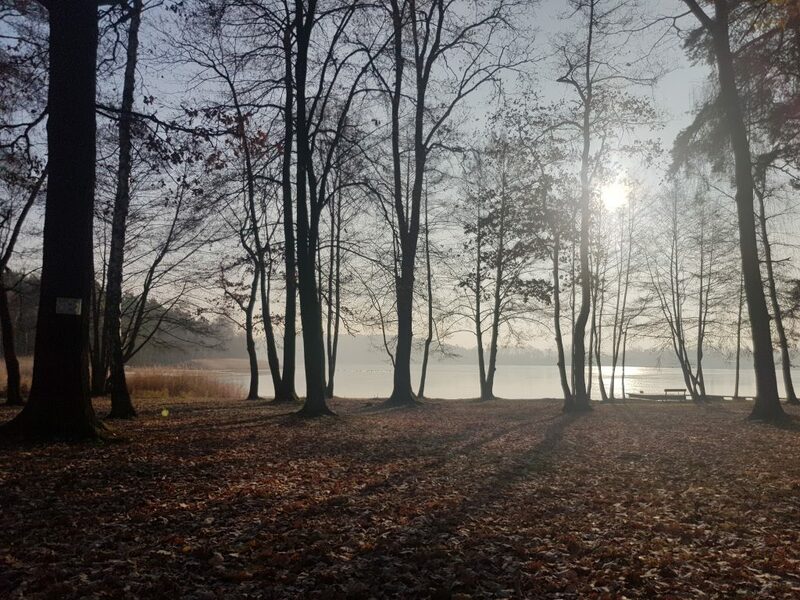 The temperatures decreased steadily as the first months in the campervan unfolded. I started with a mild early Autumn in the North of England, I experienced challenging wind forces and noisy showers while exploring stunning Scotland and its North Coast 500 route, I met a few warmer, sunny days in The Netherlands and Denmark while the mercury in the thermometer continued dropping as I travelled through Germany, until it reached below freezing in Austria and Italy (-12C as I crossed the stunning Dolomites!). As it got colder outside, the van got cosier inside. It feels very special to snuggle in your little home, with a warm drink and wrapped up in my duvet while still feeling connected to the outdoor in a way. 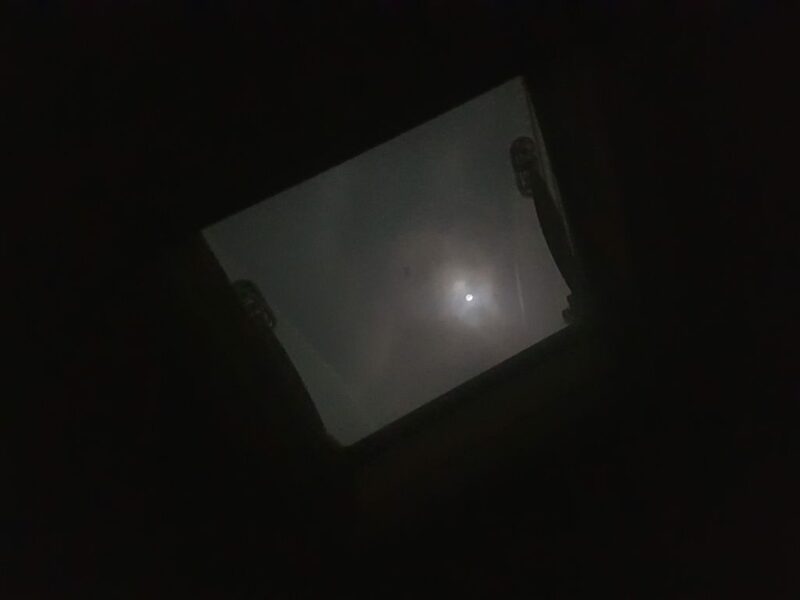 Sometimes I’d leave the blinds of the skylights open and gaze at the full moon shining above me, as I lay in my warm bed.